The number of homes that buyers have to select from are at historic lows. 45 homes were available as of February 28th. Many of these homes have already have contracts pending but the sellers are still willing to allow the home to be shown in the event the contract falls through. For buyer prospects: The Black Forest is a rural community, popular with horse lovers, that is nestled among towering pine trees just outside of Colorado Springs. The Black Forest area encompasses 127.5 square miles, 81,600 acres, of rolling terrain. There are multiple subdivisions within the Black Forest. Most of the homes are at least 2.5 acre lots or larger. Many of the lots have incredible views of the mountain range, rock bluffs, valleys or the Eastern Plains. The Black Forest feels private and secluded. Yet, home owners are just minutes away from the shopping, restaurants and entertainment venues in Colorado Springs and Monument. Short Summary: As of this evening, there are 32 homes on the market in the Black Forest that are available for sale. There are 28 homes under contract. Two of the lower priced homes that went under contract last week had deals fall apart early in the week. They were both put back on the market and then both received new offers and are back under contract. A home on Huntgate was listed for $319,900 and went under contract 4 days later. A home on Connaught, listed at $1,499,999, went under contract after being on the market for 72 days. Only three of the homes in the Black Forest have a barn, stable or shed that is being described as suitable for horses. Most of the other homes are on lots that someone could build a horse stable on if they wanted. If you have any questions, please do not hesitate to send me an email or call. Short summary: Homes in the Black Forest that are priced at under $600,000 continue to show strong demand. Three of the four homes that went under contract last week were priced under $600,000. They had been on the market for less than 27 days. The good news for people with more expensive homes is there is some activity in the upper prices ranges also. One home, listed at $1,375,000, went under contract last week. As of this evening, there are currently 30 homes available for sale that do not already have a contract pending. The sellers of two homes in the Black Forest accepted offers this weekend. Swan Road, listed at $550,000, accepted an offer. The home had been on the market for 27 days. Vollmer Road, listed at $424,900, accepted an offer. Their home had been on the market for 3 days. On Friday, Feb 9, the owners of a home on Meadow Glenn, which was listed at $438,000, accepted an offer. Their home had been on the market for 2 days. On Feb 7, the owners of a home on Walker Road, which was listed at $1,375,000, accepted a contract. Their home had been on the market for 241 days. Please do not hesitate to send me an email to: Sondra@haydenoutdoors.com or call 719-761-6272 if you have any questions or if you would be interested in putting your home on the market. 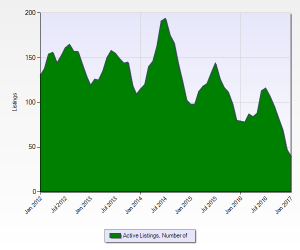 February is looking to be a good month for people selling homes in the Black Forest, CO area. Three homes have already sold in February. This week, two sellers accepted offers and are under contract. Two homes were listed this week. As of today, buyers have 31 homes in the Black Forest area to select from. 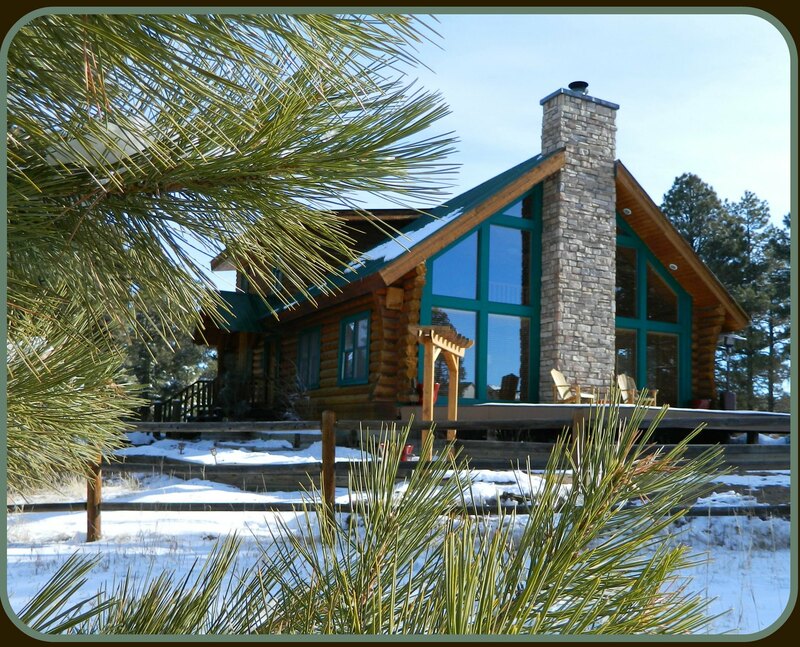 Are you thinking about selling your home in the Black Forest or in the Colorado Springs area? If so, the time to put your home on the market is NOW. The inventory of homes available in the Black Forest is at an all-time low. This means that buyers do not have very many homes to choose from. This is especially true in the lower price ranges of homes in the Black Forest. Comparatively, there is a larger selection of homes on the higher end of the price scale. The good news is that those upper tier, luxury homes and estates are selling but just at a slower pace. What about if you want to buy a home in the Black Forest? If a home that you really like or love is currently for sale in the Black Forest, I recommend buying now. Homes are selling fast enough that the one you like may not be available in a few months. If you are not in the position to buy right now, I would start getting yourself in the position to buy. You have to have faith that a home that you really like will become available when you are ready to buy. There are 32 homes in the Black Forest area that are currently for sale that do NOT have any sort of contract pending on them. They are on lots ranging from 2.5 acres to 40 acres. The prices range from $369,999 for 2,386 square feet to $7,700,000 for 15,643 square feet. (That home an indoor ice arena, a swimming pool and the many other amenities expected in high end homes) I have opted to classify horse properties as those that already have shelter for the horse on the property. Out of the 32 homes, only three are listed as having a barn or stable. Overall, the Black Forest is a horse friendly subdivision. 11 of the 32 homes available are priced at $600,00 or less. 22 Black Forest homes have contracts pending on them. 15 of the 22 homes are priced at $600,000 or less. 13 homes in the Black Forest sold in January 2017. 1 of those sold for over $1 million. The number of homes available for sale are at a 5 year low. In the Black Forest, 2016 marked the highest average and median sales prices. In other words, in 2016, half the homes in the Black Forest sold for over $449,500. Half sold for under $449,500. In 2016, the average sales price of a home in the Black Forest was $486,144. The current days on market (DOM) is the time it takes to for a home sell with the current listing agent. 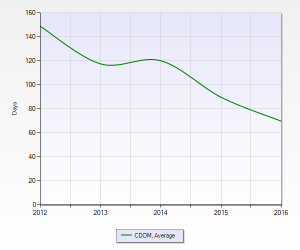 The average DOM for 2016 was 44 days. Please note that the DOM varied through out the year. More expensive homes took longer to sell than those at the lower price points. What does all of this mean? Sellers – the data shows indicate that 2017 should be a great time to sell your home. As long as it is priced in a manner that reflects the condition, it should sell in a timely manner. Buyers looking for upper end homes have a nice selection of homes to pick from. Buyers on the wanting to spend less than $500,000 currently have fewer options. I like the large size lots, but not too large, and this market data is invaluable for the prospective purchaser for Black Forest. I remember this area had the wildfire years ago but apparently has recovered well. Very affordable too. You remember correctly. The Colorado Springs area had two major wildfires two years in a row. The one in the Black Forest was in 2013. 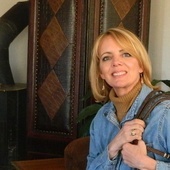 Two lives were lost in the Black Forest fire. The fire burned about 14,000 acres. Much of the area was untouched. Many burned trees still stand as a reminder of the power of the fire. They also serve as a reminder of the importance of wildfire mitigation (Keeping trees and bushes trimmed so that fire fighters can try to defend your house against a forest fire.) I feel guilty saying this, but some of the areas burned have some of the most beautiful mountain views now that some of the trees have been thinned out. One of the properties that I seriously considered buying when I was in the looking for my ranch was a lot that had partially burned during the fire. The home was destroyed but the riding arena and horse barn was not harmed. If only the lot had been bigger….. I still love that lot. Someone else purchased it. Reflecting back on both the Waldo Canyon Fire and the Black Forest Fire, I am proud to live in a community that is so strong and resilient.